USB Mouse Friend with Conductive Ink « Adafruit Industries – Makers, hackers, artists, designers and engineers! 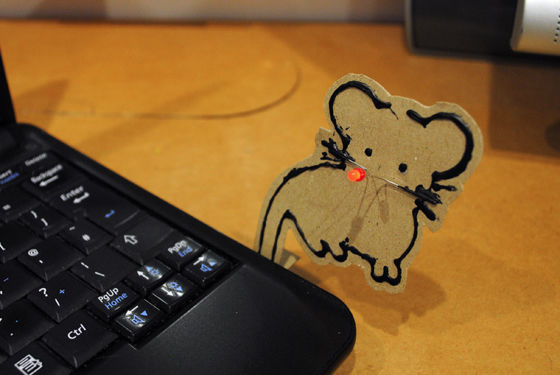 In this tutorial we’ll be showing you how to make a cardboard USB Mouse with an LED nose that lights up when plugged into a USB port! At Bare Conductive, we love playing around with Paper Circuitry and enjoy sharing fun projects that we, or our community members have come up with so make sure you check out our website for more great projects!